‘You Can Keep Video Games from Overtaking Your Family’. 1. Focus on building a life-long relationship with your child. 2. Deepen your connection with your child through empathy and support. 3. Create family harmony using influence, not control. 4. Collaborate with your child to solve problems together. 5. Embrace parenting challenges as opportunities for personal growth. Are you a parent who is feeling stuck and maybe even at the end of your rope? I’m Cynthia Klein and I can help you learn how to break the negative cycles you may be caught in and create a happier family. If you want more cooperation, respect and to simply enjoy your children more, let’s talk! I can easily determine the causes of your challenges and quickly get you on the road to successful interactions. If you want to transform your family interactions from a tug-of-war to a harmonious dance of cooperation, let’s start today! Work one-on-one with Cynthia to overcome your parenting challenges and learn how to build a life-long relationship with your child. 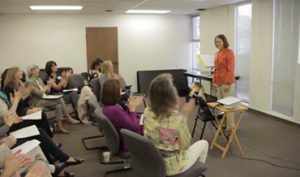 Cynthia provides in-person and online group parenting workshops. See the available options and register for the class that fits your needs. 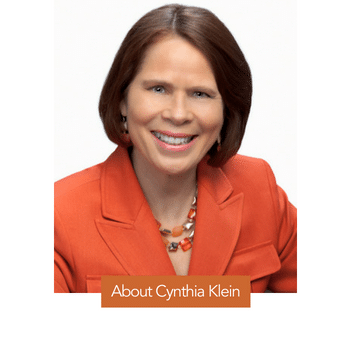 Cynthia brings engaging and educational parenting presentations to every event where she speaks. Learn more about her available presentations. Listen to excerpts from my presentation at the Mountain View library titled Encouraging Responsibility. It’s key to connect emotionally to children in order to influence them and encourage greater responsibility with an approach such as the After-Then Strategy. Mastering the Emotional Support Process will help to create deep connections with your children. When you know how to listen and support in a way that feels real to your children, they will always come to you during difficult times. This allows you to become their anchor in life as you teach them how to be resilient and resourceful adults. When children are upset, they will continue expressing their views when you respond with specially formatted empathetic phrases. These are not phrases stating that you understand. The goal of your responses is only for your child to feel safe and accepted so they can release the tensions in their limbic system, which results in thinking clearly and solving problems. The After-Then, or Work before Play, Strategy is one of the most effective for directing children to start or stop what they are doing. Once you have learned what an empathetic phrase is, you can add this additional step to effectively direct your child to follow a limit or rule up through the teen years. Cynthia Klein did an amazing job at Baywood Elementary school. She kept the audience engaged and involved. Parents walked out with a handful of tools they can apply in their homes and their lives. 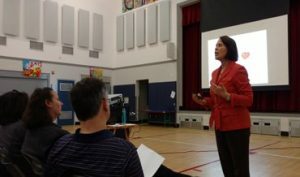 Cynthia presented a workshop to parents and community members at our high school on best practices in communicating with teens. The parent feedback that the school received was extremely positive. I highly recommend Cynthia! Cynthia helped me to see my patterns of communication with my adult daughter. I went from having no clue as to “what went wrong?” to understanding my daughter’s side of our relationship. I’m happy that I found her now, and I think she can really help heal families where the bonds have been strained. Your training for parents at the Sunnyvale Library was great! Parents certainly had a lot of takeaways, found the workshop meaningful for their situation and gave the workshop fantastic ratings. The communication advice you gave at the WEB, (Women Entrepreneurs of the Bay Area) talk was very helpful and I immediately applied it to my daily interactions with my daughter. The quality of our conversations has improved and she openly shares things with me without being requested to do so. You are changing how people communicate and are making them better listeners. Cynthia’s mission is to guide you on the path towards building a family that supports one another, solves problems together, and where each family member feels fortunate to have created such an amazing family. See how her work can transform your family. 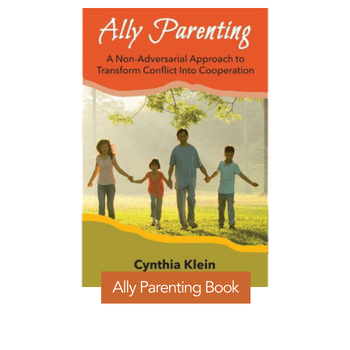 My book, Ally Parenting, is a great beginning guide for greater family cooperation. Ally Parenting provides you with 22 years of my parent coaching expertise in an easy-to-follow, step-by-step guide toward greater parenting confidence and success. 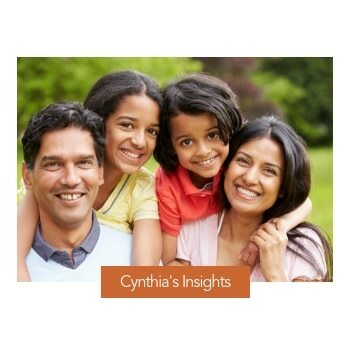 Cynthia’s Insights is a valuable resource for parents looking for more valuable information on how to build a healthy, long-lasting relationship with their child. Use this free resource for more insight and tips you can use immediately.